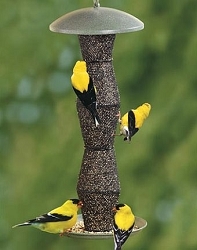 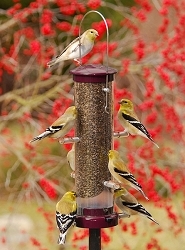 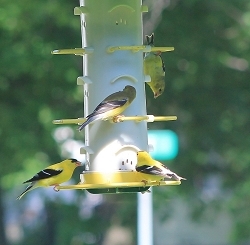 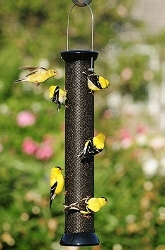 Attracts colorful finches like a magnet! 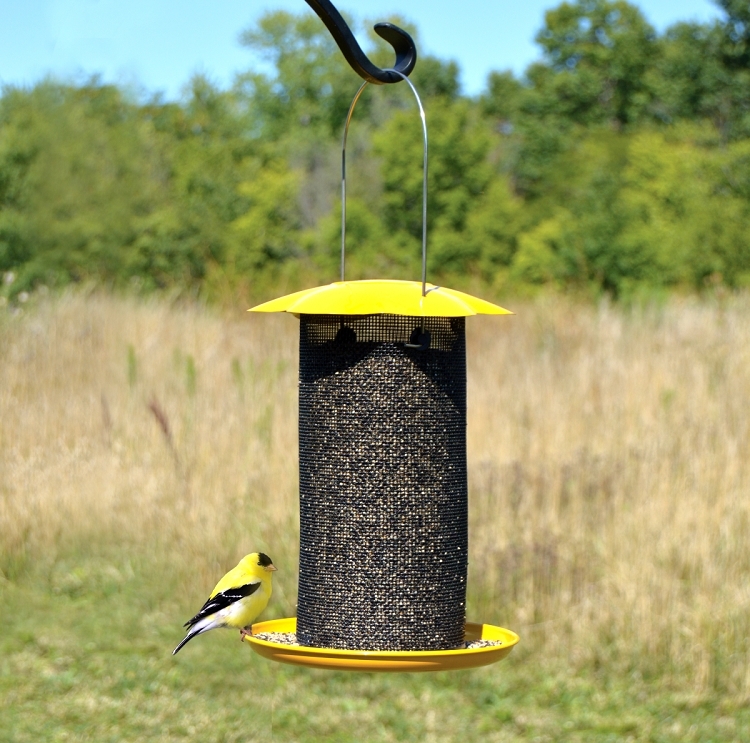 The Mammoth Yellow Thistle Feeder is ready to hang, extremely easy to use, fill and clean. 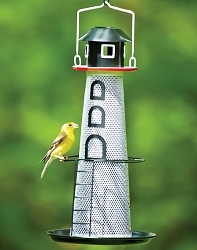 All metal construction. 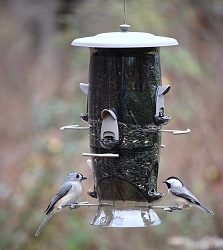 Drainage holes in seed tray keep seed dry. 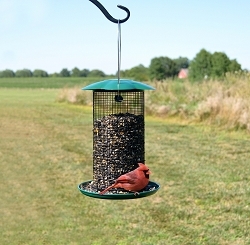 Weather resistant powder coated finish. 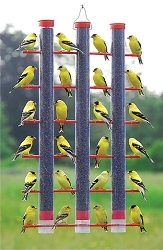 Strong durable wire mesh provides plenty of surface for finches to cling with hundreds of seed ports for finches to feast. 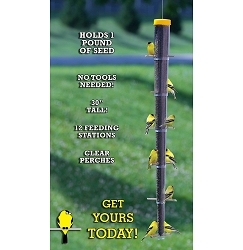 Large seed capacity. 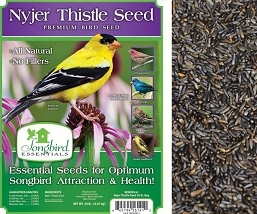 Holds approximately 5 lbs of thistle/Nyjer seed. 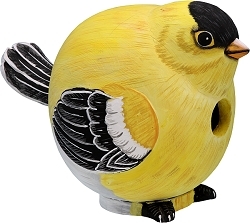 Dimensions: 8.13" x 8.13" x 17"; Weight: 1.46 lbs. 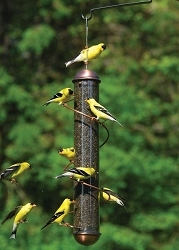 Bird Quest Copper Spiral Thistle Feeder 17"